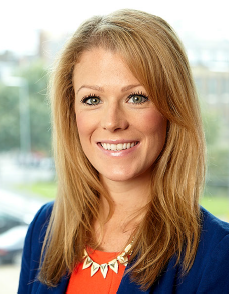 Nicola has worked in global roles within the Advertising and Online division at Microsoft for the past 2 years. She is currently the Global Marketing Communications Manager, responsible for the development and implementation of large multi-channel integrated marketing programs that drive revenue and business growth. Prior to this Nicola worked as Global Partner Marketing Manager, developing marketing strategies and relationships with the top advertising agencies. In this role Nicola built marketing plans that strengthened the business partnerships and worked closely with sales teams to deliver against business results. During this period she gained extensive experience in managing branded events and sponsorships to inspire customers, win new business and drive perception change. She was recognised in her work through several awards, most notably receiving Microsoft’s Annual Circle of Excellence Gold Club Award in 2014 for top performance. Prior to working in the advertising division at Microsoft Nicola spent 3 years working in the Original Equipment Manufacturer (OEM) business, where she managed joint marketing initiatives with hardware manufacturers such as HP, Lenovo and Dell and also managed the sales network through distribution, retail and e-commerce. Nicola started her career at Microsoft in 2009 after being selected from over 2500 applicants to join the company as one of only 12 graduates. She graduated with a first class honours degree from Sheffield Hallam University where she studied Business and Marketing. In her spare time Nicola loves to travel, compete in half marathons and go horse riding.